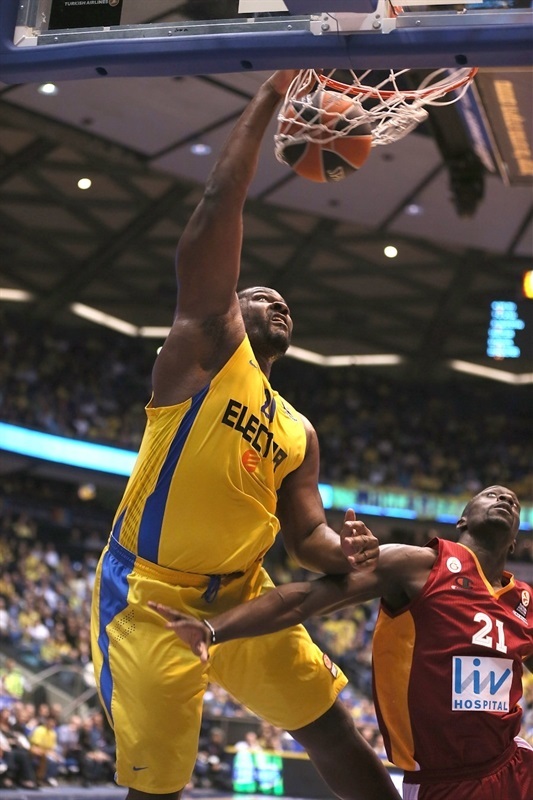 Maccabi Electra Tel Aviv rebounded from one of the worst losses in club history with a spectacular showing in routing Galatasaray Liv Hospital 97-81 on Thursday at Nokia Arena. The hosts improved to 6-2 in Top 16 Group F to remain at least in one of the top three spots. The result dropped Galatasaray to 3-5. Guy Pnini led a spectacular shooting attack for Maccabi y going 5 for 5 from downtown. As a team the winners were 16 for 28 on three-pointers (57.1%), while Galatasaray made only 9 threes on the same amount of attempts. Former Maccabi player Milan Macvan felt right at home as he scored Galatasaray’s first 10 points to keep the game close in the first quarter, but David Blu heated up in the second and the lead reached double figures by halftime. 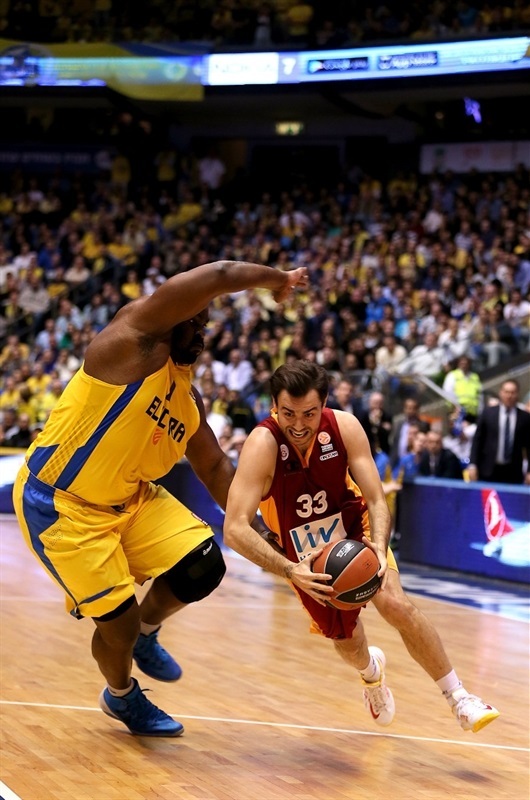 A 12-0 third-quarter charge made it a 25-point game and a late Galatasaray rally only closed the difference to 10 as Maccabi cruised to victory. Pnini finished with a season-high 17 points for Maccabi, Blu scored 16, Tyrese Rice and Ricky Hickman netted 12 apiece – the former also had 5 assists and 4 steals and the latter dished 7 assists – and Joe Ingles scored 10 for the winners. 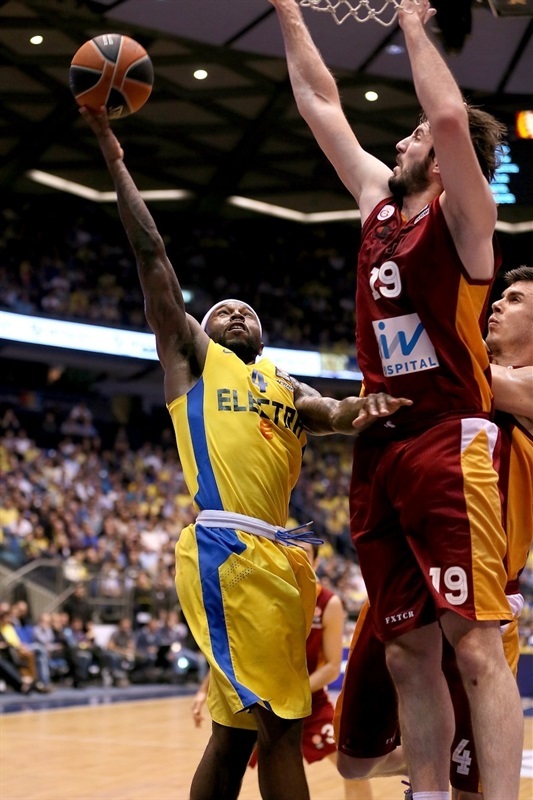 Malik Hairston led six Galatasaray scorers in double figures with 18 points. Macvan, Zoran Erceg, Carlos Arroyo and Pops Mensah-Bonsu each scored 12 and Ender Arslan finished with 11. Arroyo, another former Maccabi player, also dished 7 assists. Pnini took control early for the hosts with a pair of threes sandwiched around a Macvan triple for the visitors. After a Macvan layup, Ingles stepped up with a long jumper. Macvan and Ingles remained go-to scorers. A Macvan triple tied the game at 10-10 before Hairston’s drive gave Galatasaray its first lead. Hairston added a three-point play before the TV timeout gave both teams a rest. 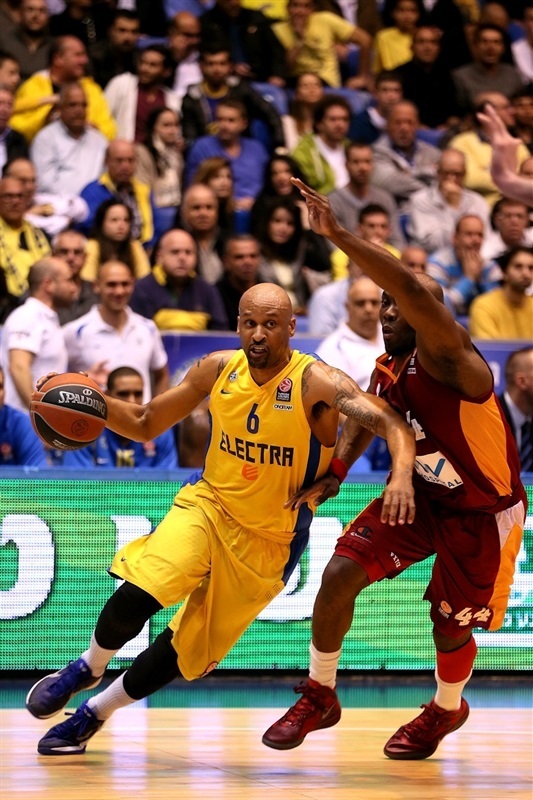 After Alex Tyus got on the scoreboard, Hickman’s steal and slam brought Maccabi within 14-15. Erceg responded from downtown and Hairston’s second-chance basket put the visitors up 6. Ingles halved Maccabi’s deficit with a triple. Ingles fed Tyus and Blu sank a long baseline jumper for a 21-20 Maccabi lead. Rice lobbed an alley-oop to Tyus, but Arroyo free throws tied the game at 23-23. 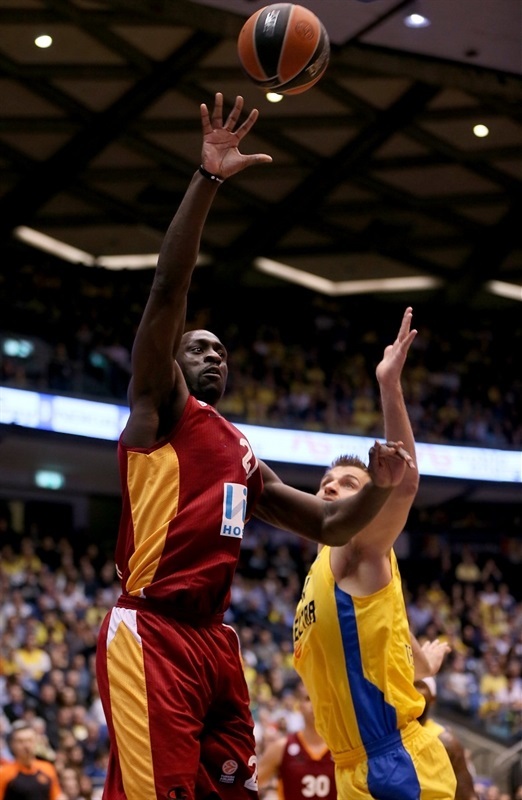 Mensah-Bonsu opened his account for Galatasaray, however a basket-plus-foul by Sofoklis Schortsanitis re-tied the score. Arslan went hard to the basket for a finger roll. Bog Sofo committed hit third foul and was replaced by Andrija Zizic for his Maccabi debut, in which he promptly drew a foul from Mensah-Bonsu. Blu sandwiched a pair of threes around Mensah-Bonsu free throws for a 32-30 Maccabi edge midway through the quarter. Zizic bumped the hosts’ lead to 5 with a long jumper for his first points. Baskets by Hairston and Arroyo kept the visitors in the picture, but a long-range show from Devin Smith, Pnini and Rice brought cheers from the stands at 43-34. After a timeout, Arroyo’s jumper was bettered by a Blu triple for a double-digit advantage. 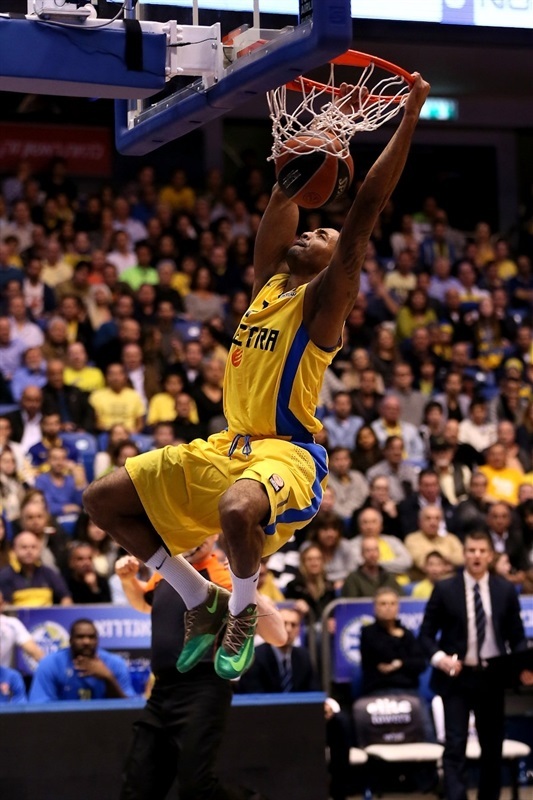 Hairston took his individual tally to double figures, but a Hickman layup gave Maccabi a 49-38 lead at the half. Devin Smith extended the lead with a three to open the second half. Arroyo answered for Galatasaray, but the hosts’ momentum continued to build with Hickman’s three-point play. Erceg dished to Hairston for a slam, but Pnini sank a triple before Schortsanitis placed a perfect pass for Ingles, who converted a reverse layup-plus-foul. Smith brought the crowd to its feet with a two-handed jam-plus-foul on the break to bring the difference past 20. A Rice fastbreak layup made it 66-42 before Galatasaray called timeout. A Schortsanitis free throw capped the run at 12-0 before the hosts took their collective foot off the gas. Hairston with a three-point play, Sinan Guler’s first points, a long jumper by Arslan and a Guler foul shot accounted for a 0-8 response from the visitors to get within 67-50. Zizic knocked down an outside shot before Erceg scored inside. Arslan’s layup closed the gap to 70-56 at the end of the quarter. Triples by Rice and Pnini eased any doubts about the outcome. Arslan responded with a three of his own and Mensah-Bonsu battled for a basket-plus-foul. 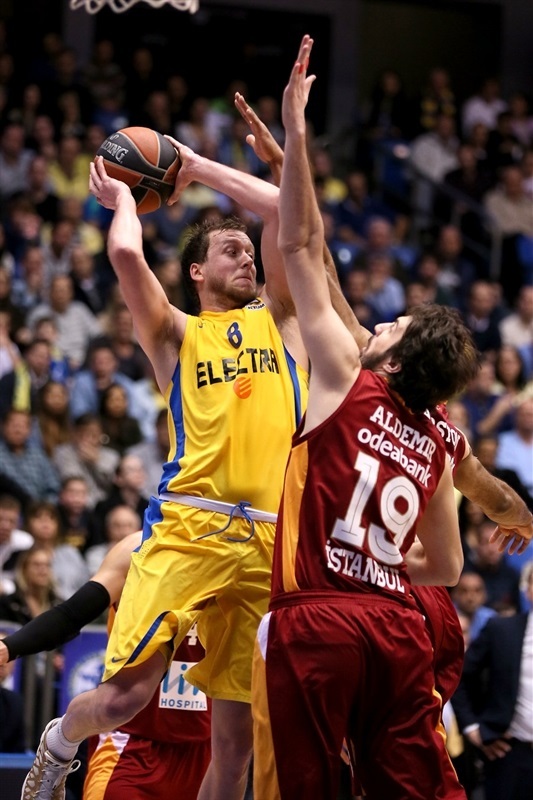 Blu nailed Maccabi’s next three; Erceg did the same for Galatasaray. An Arroyo three from the corner closed the gap to 79-68 with six minutes to play. An easy score for Blu on an inbounds play kept Maccabi rolling, but Erceg hit back from downtown. Rice converted his third three of the night and Schortsanitis created a highlight with a one-handed slam and foul to restore a 15-point difference. Mensah-Bonsu and Sofo traded baskets with the outcome seemingly settled. Mensah-Bonsu added jumper to make it 89-76 before triples from Pnini and Hickman let the entire crowd celebrate with time to spare. 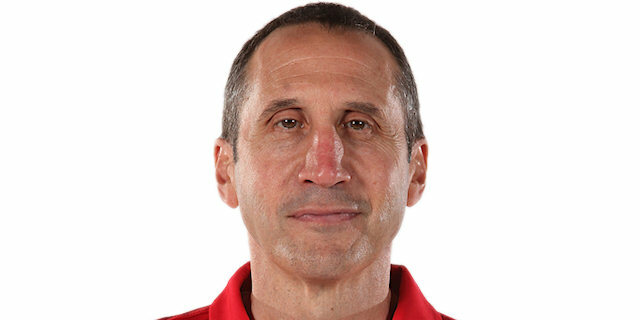 "First of all we are playing good basketball, and we carried on the momentum from the win over Hapoel Jerusalem [in the Israeli League on Monday]. We also carried on the momentum from all the games we have played over the last two or three months, apart from the game against CSKA last week. Today we had almost a full team, apart from our starting point guard Yogev [Ohayon], but we have a good rotation. Sofo [Schortsanitis] came back after a rest and [Andrij] Zizic did excellent work today. The team is playing well. We knew we were facing a team who can get points and have a lot of attacking tools. We guarded well in the periods we needed to. It was a fun game for the fans and for us." "We started the game as we prepared to, to attack Sofo [Schortsanitis] in offense and I think that in the first quarter we were successful with our offensive strategy, but in defense we also had foul problems with Sofo and we gave a lot of penetrations especially for [Tyrese] Rice, [Ricky] Hickman and [Joe] Ingles with the extra points. But it was okay for us the first quarter. In the second quarter we didn’t find the same offensive contribution from the bench players and also Carlos [Arroyo] didn’t make his regular game he played all year in the Euroleague. For us it was very difficult to find the solutions to attack. In the second half we started terrible. After we went down 25 points, the bench players improved our defense and full-court pressure and we came back into the game, which was very difficult in this arena. 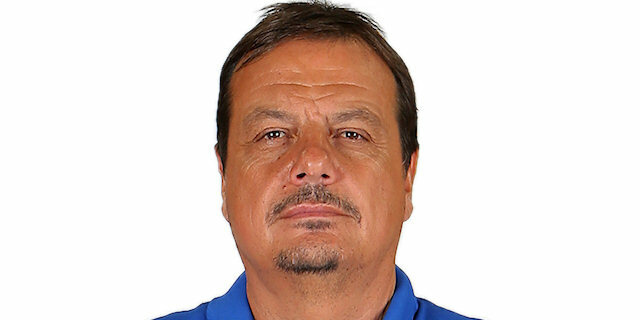 But in the last six or seven minutes we missed the easy shots, Maccabi made the shots under pressure and the difference was the three-point shots." 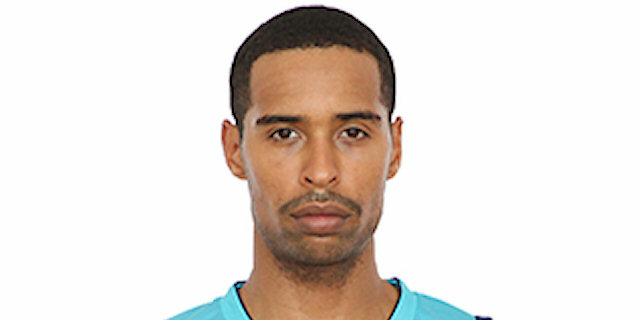 "Galatasaray are a strong offensive team and I think we stuck to our principles – played good defense and on the offensive end we were able to convert. We made our open shots – we got them – and we did a good job at getting our big man touches which helped, and Guy Pnini just played a hell of a game. We take it one game at a time. Nothing is guaranteed. We just have to stay humble. You can’t look too far ahead. It’s a great atmosphere playing at home with our fans. It’s tough for any team to come here and play against us with the environment and energy our fans bring. So it’s a lot of fun." 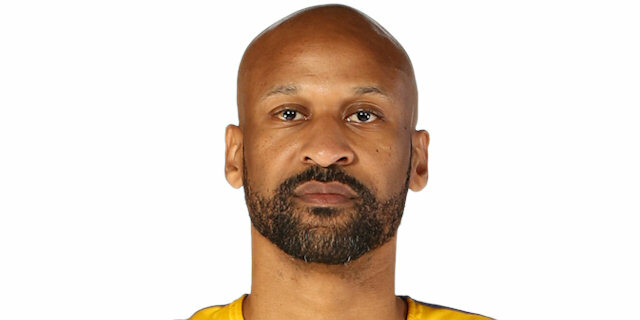 "I think we stayed consistent defensively. We started out the game giving away too many points in the first quarter, but in the second and third quarters we were able to get stops and get out in transition and I think that changed the pace of the game. The team is coming together well. We are trying to get everyone healthy and tonight we had a full roster except for Yogev [Ohayon]. Tyrese [Rice] stepped up and filled in for Yogev quite well. We’ve been getting good practice in and I think that’s what helps us gel in the competition. I think we have unlimited potential; we still have to take it game by game, but anything can happen." 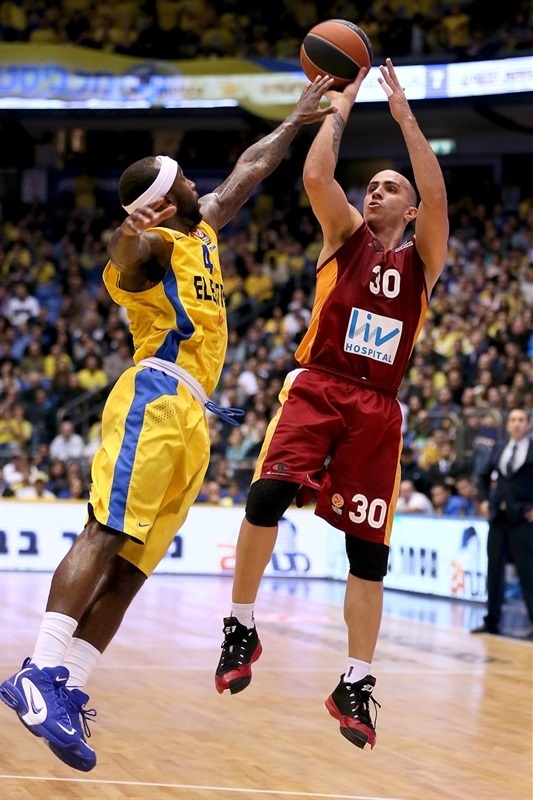 "We started well, but Maccabi kept scoring and executing very well in offense. 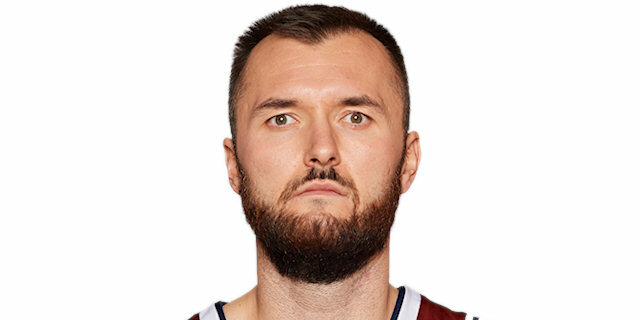 Especially with Sofo [Schortsanitis] in the lineup, they are very dangerous because he is opening space up for the other guys. So even if he doesn’t score some points, he is making the difference on the court. Also Guy Pnini and [Devin] Smith scored some crucial threes and they just went like 20 points up in the third quarter and it was difficult for us to come back. For us we have a couple more games to try to qualify for the top eight. I think these first three teams are very far ahead of us right now – Madrid, CSKA and Maccabi – but we are going to keep fighting for the fourth spot."